The Whitbread Book Award was established in 1971 to encourage, promote and celebrate the enjoyment of reading. 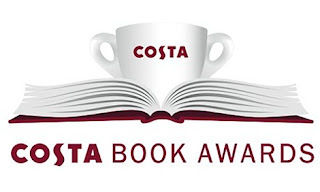 They became the Costa Book Awards in 2006. Highlighted books are the winners of the BOOK OF THE YEAR award as well as their category win. Books marked with an (R) are ones I've read but not reviewed. Books in green are on my TBR pile. Novel: David Lodge, How Far Can You Go? Children's Novel: Hugh Scott, Why Weeps the Brogan? First Novel: Jeff Torrington, Swing Hammer Swing! Children's Book: Brian Conaghan, The Bombs That Brought Us Together.